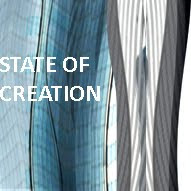 Is it the State or the state (of creation)? It can be both, and more. A state can both be a political border, a stage between differences, and an emotion. When you are in the state of creation you are in a place where the laws are based on play, possibilities, imagination and craft. Solutions are found there. At the source of creation is often the idea which needs a ground to flourish. This means a space open for initiatives outside the bounds of politics and exclusion. Creation leads to changes & innovation and initiates processes of progress. In Luxembourg, in a European and interregional context, Art meets Business. A spirit of creation is the source of both. Open societies are reflective on ideas, promoting and supporting initiatives, working on social issues, willing to change. The artists participating in this exhibition offer works based on these ideas. The organizers look forward to showcasing new works of digital art and modern photography in which the artists share their interpretations of the State of creation. On June 16h 2010, CULTUREINSIDE.COM and 1,2,3, GO will inaugurate a European art exhibition entitled "State of creation". The show will consist of works by artists chosen competitively by a curatorial committee of the Grand Region. Jury: The committee is composed of art professionals in the Grand Region. The composition of the committee will be announced during the call. Awards include: exhibition participation in 2 exclusive exhibition spaces. Winning entries will be selected for physical exhibition at the 10th anniversary of 1,2,3 GO in the Chamber of Commerce in Luxembourg. 1,2,3 GO Network Public Vote, live poll to select the COUP de COEUR artwork on June 16, 2010 by the audience. Then the show will move to the Conference Center of the European Commission in Luxembourg where a second opening will be organized. Online promotion and publicity in newspaper and magazines. The winning works will also be presented in the online show. A printed catalog will be produced. Eligibility: The competition is open to photographers, artists & art students inside Europe. Accepted art is photography & digital art. however this paragraph presents good understanding even.